Item # 312720 Stash Points: 3,495 (?) This is the number of points you get in The Zumiez Stash for purchasing this item. Stash points are redeemable for exclusive rewards only available to Zumiez Stash members. To redeem your points check out the rewards catalog on thestash.zumiez.com. Bring pop back to your tricks with the brand new Blind Switch Blade 8.5" Skateboard Deck. Designed with a traditional maple construction and reinforced with epoxy glue resin, this board is considerably lighter and stiffer than industry standard decks. 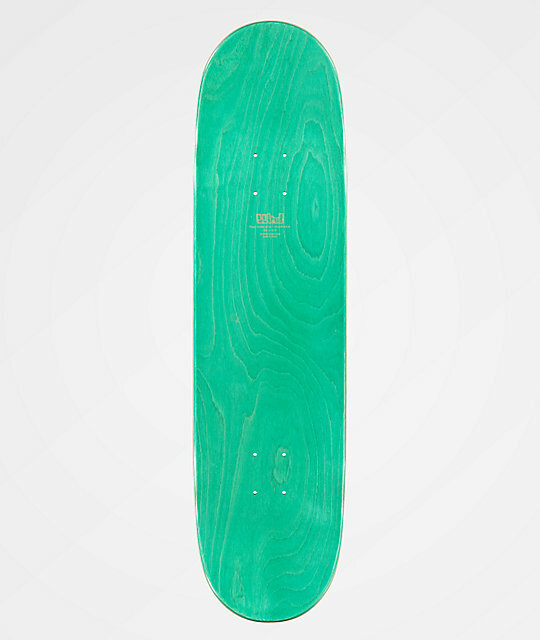 Switch Blade 8.5" Skateboard Deck from Blind.